Questions for Littles: Whom does Joshua call to himself in Joshua 22:1? For what does he praise them in Joshua 22:2-3? What observation does Joshua make about God in Joshua 22:4? What does he command the 2½ tribes to do in Joshua 22:5? What does he do to them as he sends them away in Joshua 22:6-8? What do these tribes build, when they return to their region (Joshua 22:10)? Who hear about it in Joshua 22:11? What do they decide to do about it in Joshua 22:12? But whom do they send first, before the army, in Joshua 22:13-15? What does this delegation ask in Joshua 22:16-18? What do the 9.5 tribes offer to the 2.5 tribes in Joshua 22:19-20? What do the 2.5 tribes say that the altar is NOT for doing in Joshua 22:21-26? What do they say that the altar IS for, in Joshua 22:27-29? How does the delegation from the 9.5 tribes respond to this explanation (Joshua 22:30)? Why are they so glad that the altar is not for sacrifices (Joshua 22:31)? How does the rest of Israel respond to the report from their delegation (Joshua 22:32-33)? 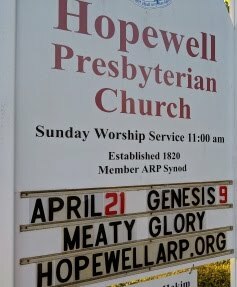 What do Reuben and Gad call the altar in Joshua 22:34? In this week’s Old Testament reading, we have a passage that hardly makes sense in an age of the church in which many churches make worshiping in their own style into a weekly event. For the Israelites, however, they still had pretty fresh memories of how seriously God takes to be worshiped in only the way that He has commanded. In fact, when 4/5 of Israel thinks that the other 1/5 have invented their own worship style, they get ready to go to war, since it would be better to wipe out that 1/5 than to have the entire nation wiped out. How humbling that these Israelites, whose history generally makes us blush for their repeated unfaithfulness, would outdo so much of today’s Christian church in their seriousness about worshiping the Lord only in the way that He prescribes! Happily, the altar was not for worship but for witness. 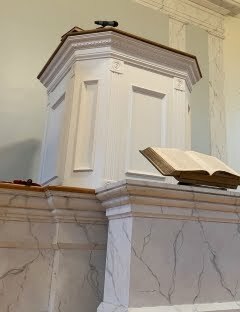 It’s actually rather ironic—they had built the altar intentionally to remind themselves NOT to worship with such an altar. They intended to remind themselves that only Yahweh is God, and that the only proper altar for sacrifice was the one at the tabernacle. In the end, both groups wanted the same thing: to affirm that there is only one true God, who Himself is the One who decides on the one true way of worship, and that truly belonging to His people starts with knowing and practicing this truth! Who is our tabernacle now? Is there any other way of coming to God? What are some things by which we are tempted to measure “good” worship? What is the true measure of what makes worship good or right?